Sri Sukruthi Natyalaya presents Bharatanatya Rangapravesha by Kum. Anusha Gurudath, student of Guru Smt. 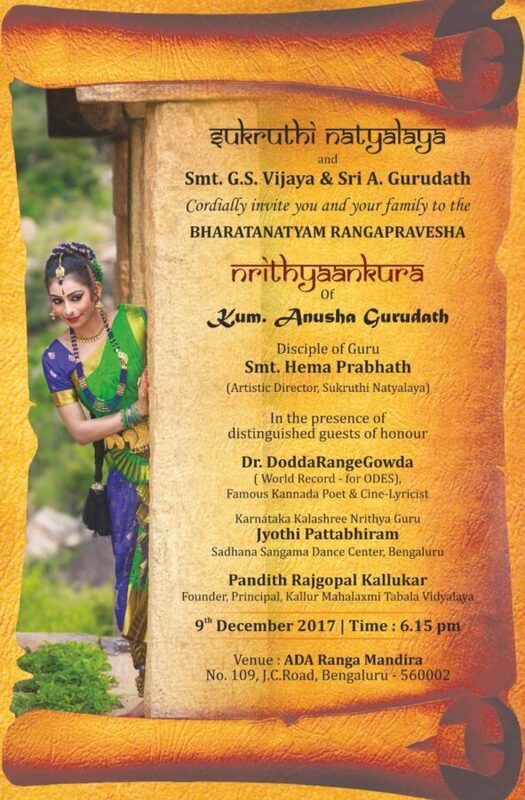 Hema Prabhath on 9th December 2017 at ADA Rangamandira at 6 15pm. The chief guests of the day are Dr. Doddarangegowdaru- Famous Kannada Poet and Cine-Lyricist, Karnataka Kalashree Nrithya Guru Jyothi Pattabhiram- Sadhana Sangama Dance Centre and Pandith Rajgopal Kallurkar- Founder, Principal, Kallur Mahalaxmi Tabala Vidyalaya. Anusha is currently working at NTT DATA as a software developer. From childhood she has always shown keen interest in both music and dance. She has won many prizes in various competitions which she has participated. 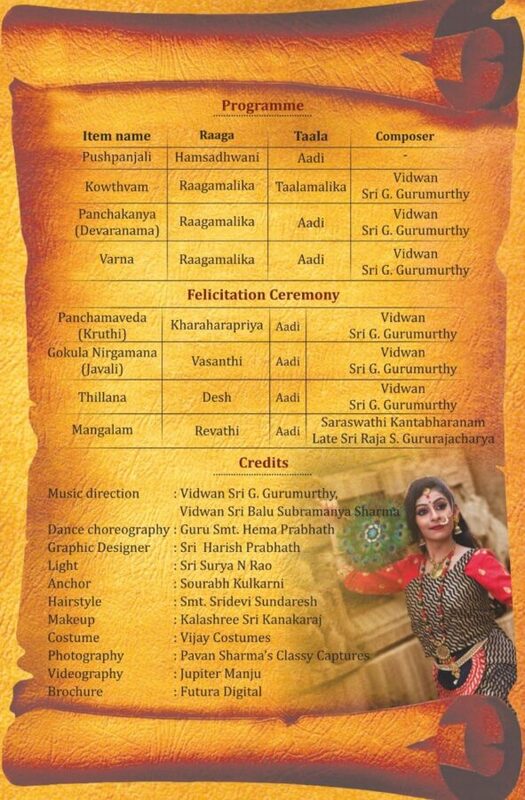 She has also performed Bharatanatyam at various prestigious platforms in Karnataka, Tirupathi and few more places. Ms. Shona Gonsalves – A prolific stage performer..
SANJJANAA IS NOW A YOGA ENTREPRENEUR !